tanding youth (under 18) groups who come and provide many services to our House. This year’s award goes to Prince of Peace Catholic School for many reasons. For the past two years, this group has committed to fundraising and volunteerism throughout their school year. From raising money for the House, to donating wish list items, to providing meals, hosting activities, and completing group House projects, this group has done it all and we are so thankful for their service. The group loves helping us at RMHCA because they can see how they help others. 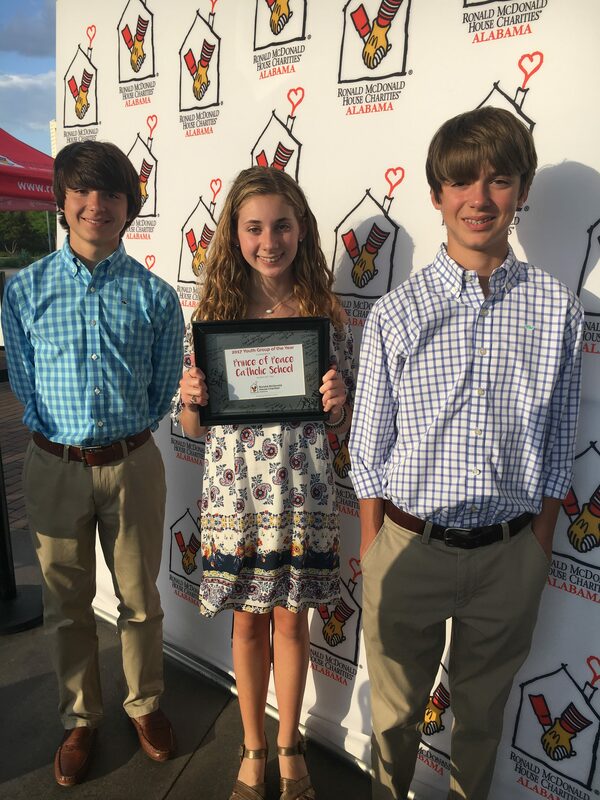 “Prince of Peace loves volunteering at RMHCA because they get to see first-hand how they are helping people. 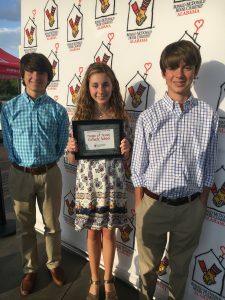 They are a caring group of kids who really love helping others. 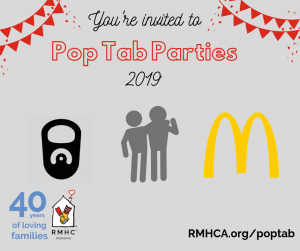 And at RMHCA they can help in so many ways…by interacting with the residents through meals, activities, cleaning, and getting to know the people they are working to help,” parent Julie said. Julie explains that each group at POP’s middle schools is asked to find a service project for the year and this group unanimously decided to help RMHCA. “So they made an appointment to come to the House and learn about it. On that first day, they met Raylee and her great-grandfather Gene and the rest is history! They were moved to tears to realize that THEY could do something to help her and people like her,” Julie added. Last year, Prince of Peace set a goal to sponsor one of our guest rooms, and while their donation was a great one, it fell a little short of the amount needed. The students used that shortcoming as motivation for this year and we just got the word that they exceeded their goal and raised close to $8,000! This will sponsor about a room and a half! We are so honored and thankful for their hard work!